Serving the Berkeley, El Cerrito, and Surrounding Areas. 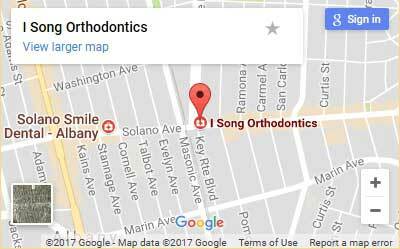 I Song Orthodontics is here to answer any additional questions you might have about our treatment options. Call today or schedule your initial one on one consultation and we’ll assess your oral health goals – we are located just a few blocks away from the center of El Cerrito. From there we’ll devise a proactive plan to achieve your ambitions together.